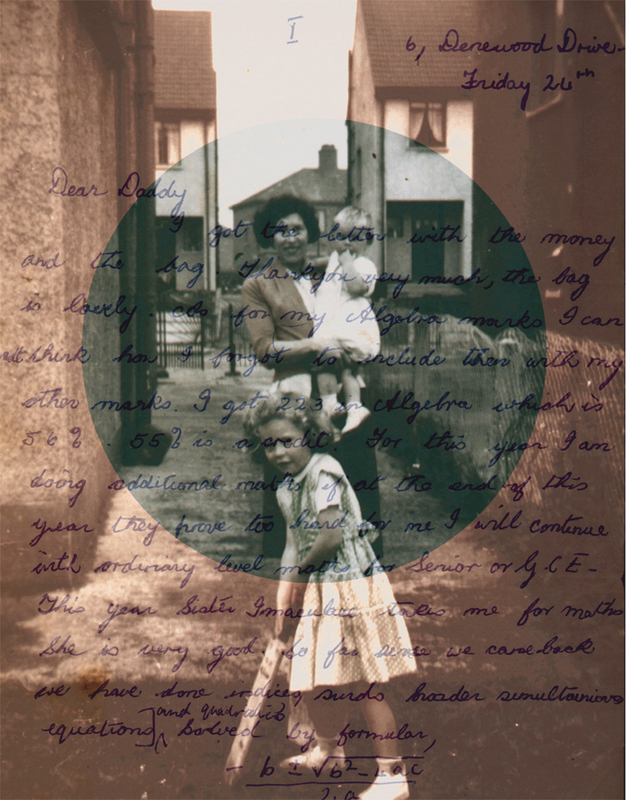 This series of photographic images combines my childhood family album images with geographic maps, letters,and other artifacts that reference issues of migration, home and the vernacular album. In this work I am re-cycling vernacular photography and fragments of detritus that map out my relationship to my parents. Memory is instilled and resonates in the most banal objects and images. Through this investigation, I represent both a sense of longing and a sense of loss.